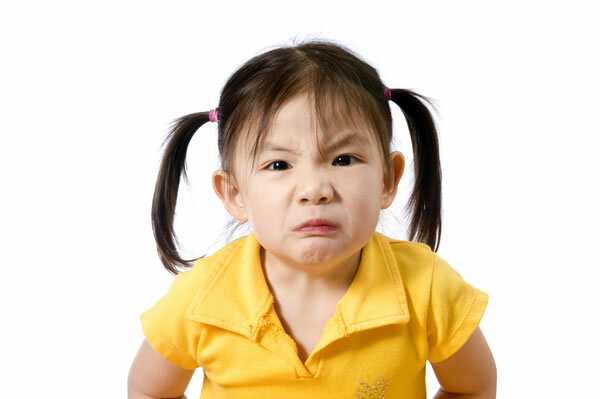 Children get angry from an early age and unlike adults they are not in position to manage or understand their anger. When they are still young the feeling of anger is something new to them and your assistance on how to handle the situation is more than vital. We already discussed in a previous article about anger management for adults (7 ways on how to manager anger) but when it comes to children you (as a parent) need to take a different approach. It is necessary to stay close to them, understand why they get angry and teach them how to better control anger so that it does not affect their quality of life. The way you handle and express anger has a direct impact on the way your children will express and control anger. So, the first step to teach your children anger management is to learn to control anger yourself. If you shout when angry and get out of control, most probably they will react the same way. Lead by example and set the foundation for better self-control. Headache, stomach problems, teething problems or other symptoms that cause pain but are not easily recognized by a child. A way to express their feelings when they cannot do something either because they are not capable of or because they are not allowed. It is normal for children to be unaware of how to handle anger. The first thing you should do is explain to them that it’s ok to feel angry and then let them calm down for a couple of minutes. You should then start discussing the problem with them and try to understand why they are frustrated. If the situation is out of control don’t try to get into the discussion right away but move them into a quiet place and stay with them until they calm down. It is important to gain their trust and make them believe that you care about the reasons that made them angry and you are ready to make an honest discussion. You should not shout or get angry under any circumstances. Doing so will be disastrous for your efforts. Self-control is the ability to control yourself in difficult situations. Children or adults are sometimes not aware that there are techniques for better self-control. These are applicable for people of all ages and they can be summarized into the following 6 steps. Step 4: Start thinking about the reasons that made you angry and express your feelings either by writing them down or talking to someone else. Step 6: Take a break, listen to music or take a cool path and decide which of the solutions you will adopt. It is important to guide your children adopt the above techniques when in difficult situations. Being able to master these from an early age will help them a lot as they grow up. Controlling anger through self-control is a great way to manage your feelings when angry. The most important step in anger management is to actually deal with anger and find ways to solve the problems or get out of the situation that creates it. You can encourage your children to make decisions and take steps to solve their problems and not be passive when in difficult situations. Explain to them that it is normal to have disagreements with other people but it’s also important to respect and accept the other opinion. While their trying to calm down, think for a moment about prevention measures. The best way to manage anger is to avoid it. They say that ‘prevention is the best cure’ and this is true in anger management as well. Turn anger to laughter – Whenever you suspect an angry situation try to ease tension by saying something funny and take a relaxing approach for the incident. Don’t be afraid to seek professional assistance. When the situation is out of control and you notice that your children are getting angry very easily it’s better to get the advice of a doctor or psychologist. They will examine your problems and suggest ways to overcome the awkwardness anger creates.